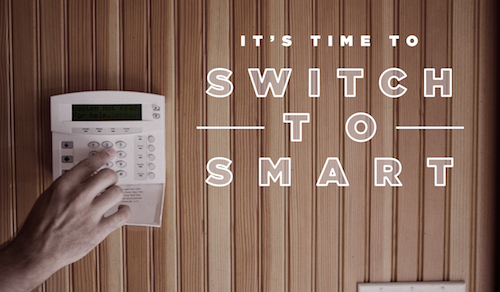 It's Time to Switch to Smart - The Best Smart Appliances! We live in a world where everything seems to be smart. We have smartphones that we can’t live without (try leaving yours at home for a day, and you’ll see what I mean). We have smart televisions, and there are even smart cars! There’s also a whole new world of “Smart” appliances that you may not be so familiar with. These are applications that not only make your life easier, but some of them help to keep your family safe as well. Wondering what these applications are? Luckily,Nationwide has you covered. In a recent article that was published on In The Nation, they’ve targeted a few key smart appliances that you’ll definitely want to get acquainted with. Number one on my list is Smart Washing Machines! The Whirlpool’s Smart Front Load Washer and the Washer both come with smart phone integration! This means that they can connect to your phone and alert you on the important information you need to know like updates, repairs, warranty issues, and other inefficiencies! The LG washer even has Smart Diagnosis, which allows you to monitor your load remotely! This lets you set the waster to run when the utility rates are the lowest! Another GENIUS smart appliance idea is the Smart Smoke Alarm. The days of the annoying chirp reminding you to change the batteries in your alarm are over and done with! Some of these nifty devices will even contact your phone or emergency contact with there is a threat of smoke or carbon monoxide in your home! Love sharing your cooking skills with friends? The June Oven actually weighs your food, recommends a cooking program, and uses a high-def camera to stream your food cooking right to a mobile device! In case you are like me and can think of a million other things you’d rather do than clean… there are Smart Room Cleaners! Cleaners like the Roomba floor cleaner are equipped with Wi-Fi, allowing you to operate it from anywhere by simply using the app on your IOS or Android device! Smart Thermostats are also pretty neat! They allow you to regulate the temperature for times when you’re sleeping or away from home. Devices like the Nest actually sense when you’re home or away, and set the temperature accordingly. It learns your preferences and mimics them! Did I mention these appliances could cut about 15% from your utility bill? All of these smart appliances are very neat, and work to make life more convenient for you. You’ll want to be sure they’re covered in the event that they are damaged or stolen. Nationwide has homeowners and renters insurance that will help keep all your important belongings covered!